Fired from a job? You can rebound with these strategies for staying in the game and landing a new job. Axed. Terminated. Canned. No matter how you phrase it, getting fired never feels good—and it’s all too easy to fall into the career doldrums, convincing yourself that you’ll never work again. Don’t be that person. If you’ve been fired, own it. 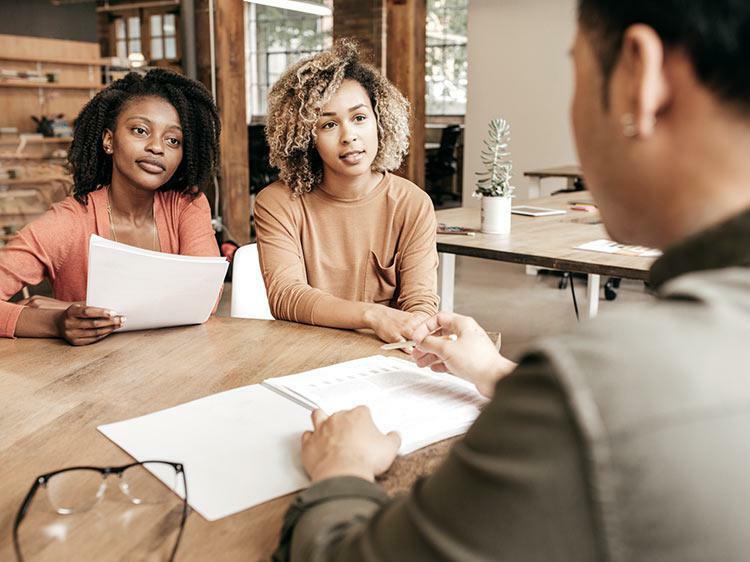 Accept the reality of the situation, remind yourself that there are other fish in the job search sea—and then get yourself and your resume back on the market, stronger than ever. But do it honestly, and do it right. Monster career experts offer five ways to get back in the game after a big setback. Get networking. Don’t neglect your professional network predating your time with your most recent employer. Your former colleagues can be some of your best allies during this period, especially if they can speak to your overall skill set and dedication as a worker. Whatever the circumstances of your firing, these are people who can help flesh out the larger picture of who you are as a co-worker—as someone with a lot more to your career than one shaky spot on your resume. Depending on the situation, there’s still a chance you’ll be able to use your previous employer as a reference. You’ll be your own best judge on that matter, but it never hurts to send your old boss a note thanking them for the time you were employed. Don’t get us wrong: You’ll need to take responsibility for the fact that you were fired. But if you strike the right tone, you’ll have a much better chance of leaving on a positive note. “Being gracious, and taking full responsibility for the reason of your termination, whether or not you agree with the reason, will go a long way,” says Katy Imhoff, owner and CEO of Camden Kelly Corp.
Don’t give in to the temptation to loaf around the house in a Netflix-fueled haze. If you’ve just been fired, it’s crucial that you avoid letting the current gap in your resume widen into a yawning chasm. Even if you don’t immediately apply for jobs, try doing something productive that will help you when you do return to the job market, like enroll in a course to help develop your skills and make yourself more in-demand as an employee. Use social media to stay current on happenings in your field. Start following thought leaders and influencers who post about topics related to your industry, and become more active by liking and sharing. Your network will notice your activity, making you top of mind if they hear of new openings. Okay, so you’ve gotten past that first hump, and you’re interviewing for a new job. Congrats! But now comes the tricky part of the post-firing job search; you need to take a lot of care in the way you frame your circumstances. Don’t avoid it, and certainly don’t lie about it. But phrases like “differences of opinion” or “different working philosophies” largely speak for themselves, as long as they accurately refer to the situation. Self-reflection is underrated in general, and it’s especially helpful when you’ve just been fired from your job. This is the time to ask yourself why things didn’t work out, to focus deeply on your strengths and weaknesses as a worker and consider how you’ll define success as you move toward the next step of your career. Obviously, getting fired isn't the best look for your career, but the fact is people get fired. It doesn't mean you're doomed to a life spent sitting on the couch watching infomercials. You need to take action and start being visible to hiring managers. Need help with that? Join Monster today. As a member, you can upload up to five versions of your cover letter and resume—each tailored to different types of jobs that interest you. Recruiters search Monster every day looking to fill top jobs with qualified candidates, just like you. Get back out there today.